After my week in hot and sticky Guayaquil I couldn’t wait to get to the beach for a fresh ocean breeze. 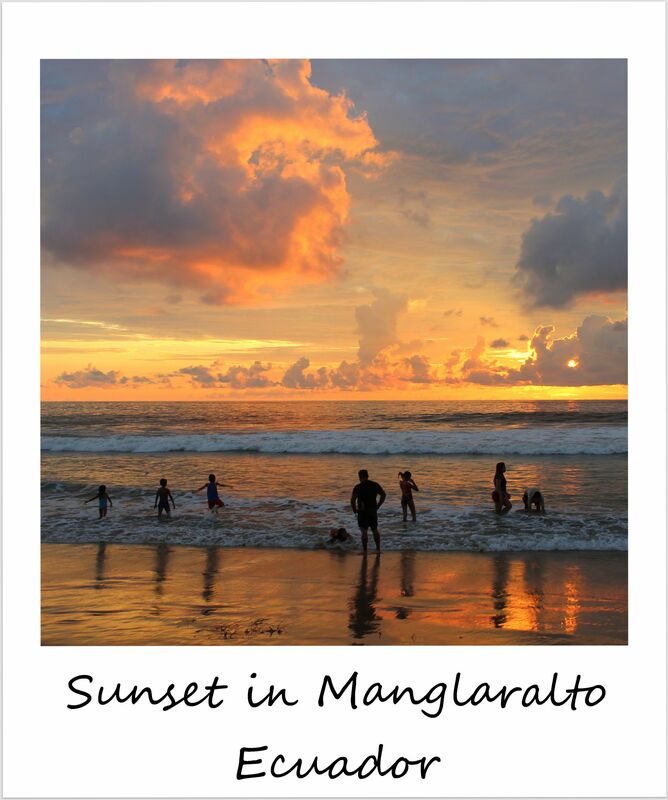 I had heard great things about Montañita, a small village on the Santa Elena Peninsula on Ecuador’s Pacific Coast. Montañita is the country’s number one surf spot, and, as I learned when I arrived there, a prime party destination for people from all over South America. Think South America’s answer to Ibiza, only with less mega clubs, but with loud music right on the beach instead, blasting from several discos right along the shore. I ended up preferring the two beaches south and north of Montañita – Olon to the north was much more charming, with seemingly nicer accommodation and cuter restaurants, plus several appealing beach bars and less tourists. Manglaralto to the south seemed like it lacked foreign tourists entirely – or at least I never saw any when I ventured down there. What all three villages have in common: the amazing sunset spectacle the sky put on for us every single night. I made sure not to miss a single one – Pacific sunsets never disappoint.